Growing up in India, I remember eating a local sweet from street vendors called “Rajgira ladoos”. They were perfect little balls of sweetness and crispness; an Indian slightly less-sweeter version of the American Rice Krispies. Amaranth is known as Rajgira in India and its greens are called Chulai(which are also eaten). It has been used to make sweets for everyday use and religious ceremonies also. It is eaten in various forms. It can be boiled, popped or ground into flour for various recipes. Now, when I read about the various benefits of Amaranth, it seems amazing how things are coming back full circle. The wholesome simple foods of the past are all making a comeback, and I love it! 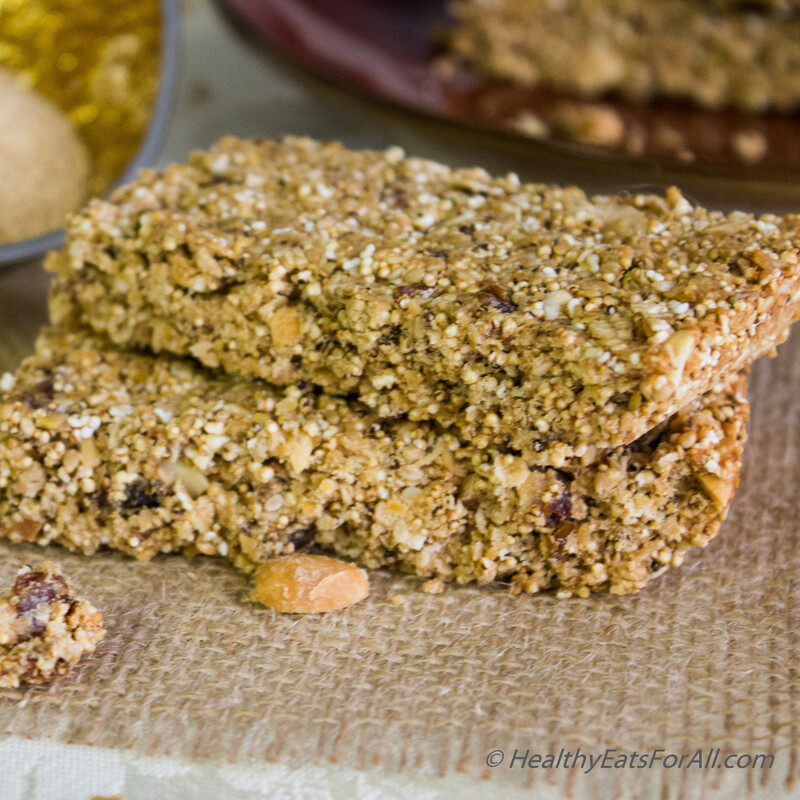 It brings back a lot of good memories and helps pack a great nutritious punch to boot J In this recipe I have tried to combine the goodness of the amaranth with oats, nuts and seeds to make an excellent portable protein snack bar. I hope you all will like it the way everyone does in my house! Heat a pan with some height. It should be hot but not smoking. 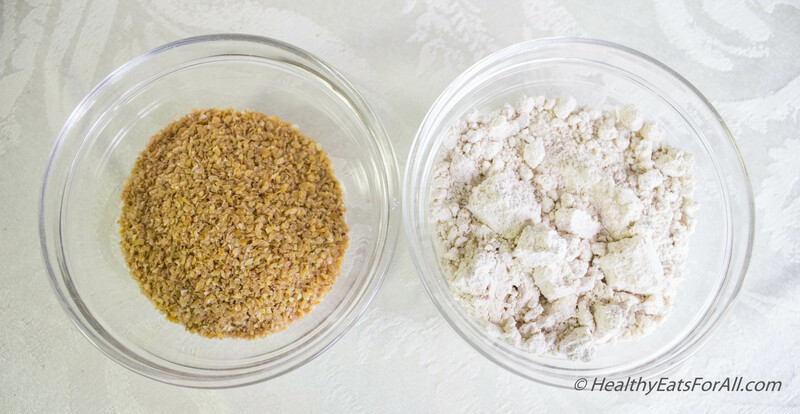 Add half of 1/8 cup amaranth and immediately cover with lid and let the grains pop like popcorn. Keep moving the pan so that it doesn’t burn. 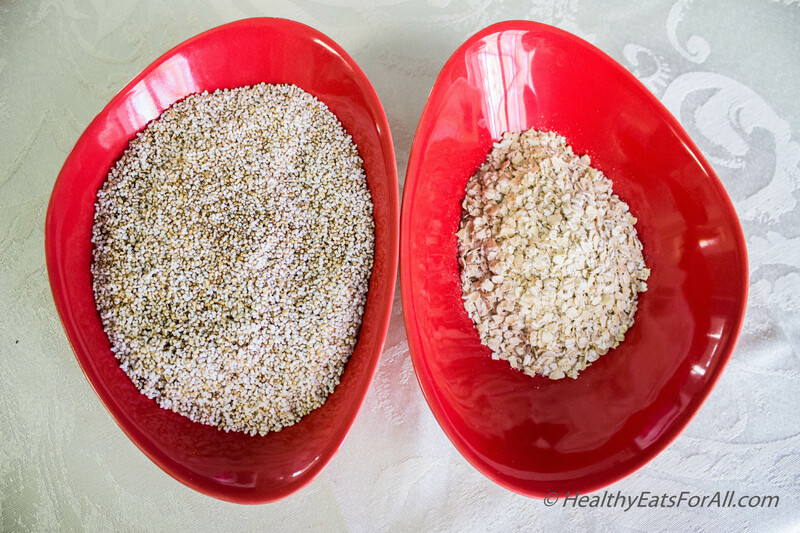 Once it slows, remove from heat and pour the popped amaranth into a bowl. Keep adding rest in small quantities and pop like that till you have 1 cup popped. It should take approximately ½ + 1/8 cups raw to get 1 cup popped. There will be few that won’t pop, but that is okay. Keep them, don’t throw them. Chop the peanuts with a sharp knife. 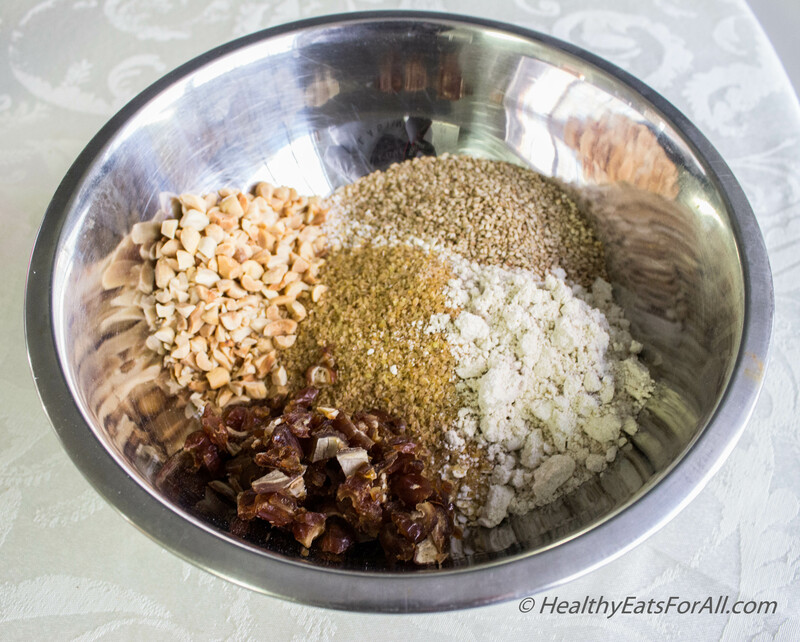 Mix all the dry ingredients really well. 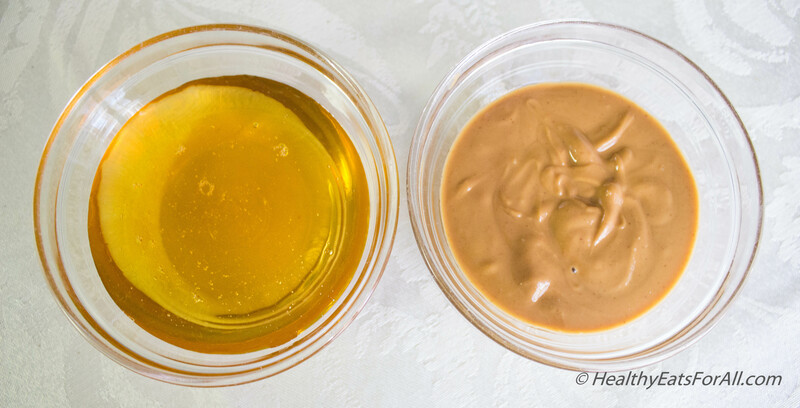 Add the honey and peanut butter. Mix with a silicon spatula. Then slightly wet your hands and mix everything the good old fashioned way really way to break down the large clumps. I have used a 8”x8”x2” Pyrex glass container. Line the pan with aluminum foil. Spray/grease with canola oil. Put the mix in the lined greased pan. Put a cling film on top and press with a potato masher to get the mixture tightly, evenly pressed in the pan. Bake the mix in the oven at 3500 F for 15-20 min. Bake till the edges turn slightly brown. 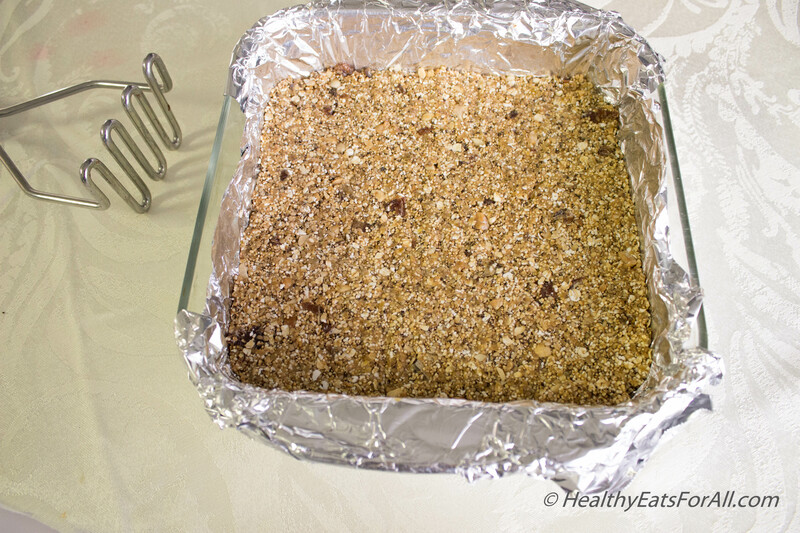 Just lift the entire baked mixture using the aluminum foil overhang and place on chopping board. Cut into rectangular bars and then let them cool for an hour outside and later in the refrigerator in a closed box for another 30 min. If you want them soft then keep them at room temperature with pieces of parchment in between to prevent them from sticking. If you prefer slightly firmer, refrigerate them. Enjoy! You are so right in saying that simple whole foods used in those days are making a comeback now! 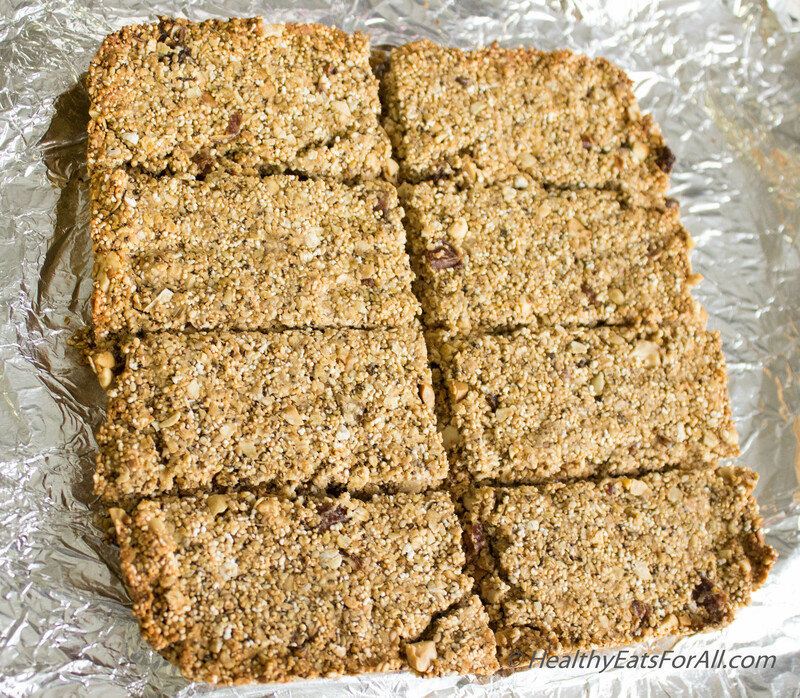 Very hearty bars, I will try a version of this. Thanks for sharing! 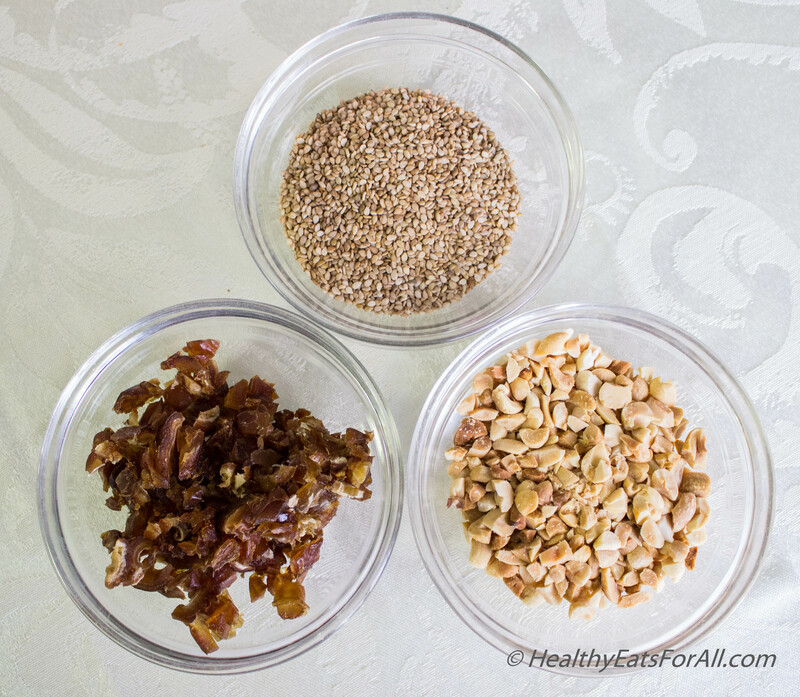 Can I replace the rolled oats with whole oat groats that I grind up myself? Hello Justin. Rolled oats cook very fast. I am not sure if groats would work instead. 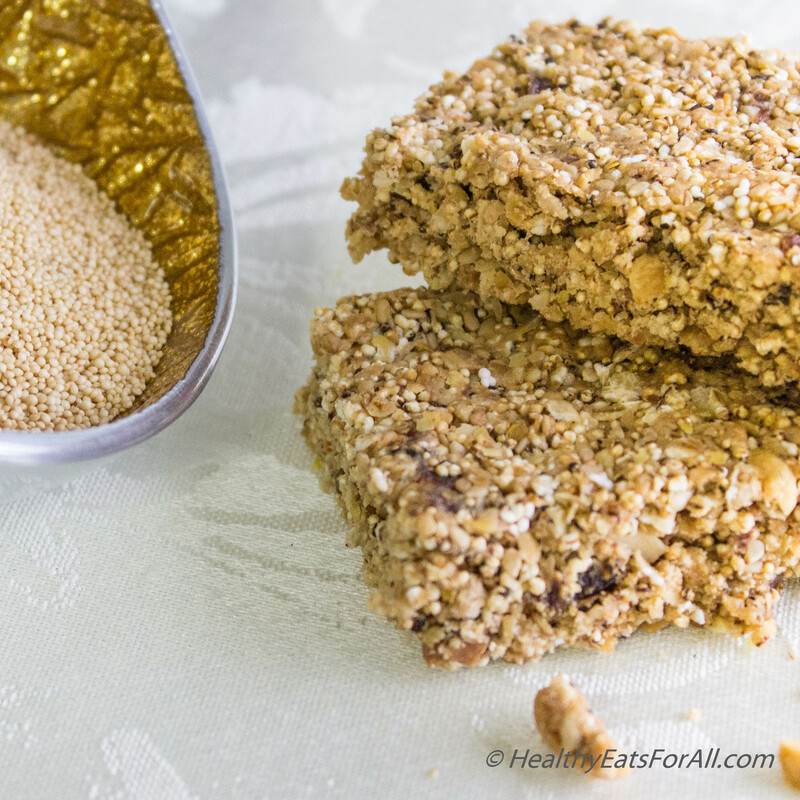 I popped some amaranth and was looking for a recipe for bars. I like the ingredients used in these bars but my end result did not hold together. i did not have quite enough honey so I added extra peanut butter. I wonder if that was the reason I ended up with yummy granola instead of bars. I dont use oven. 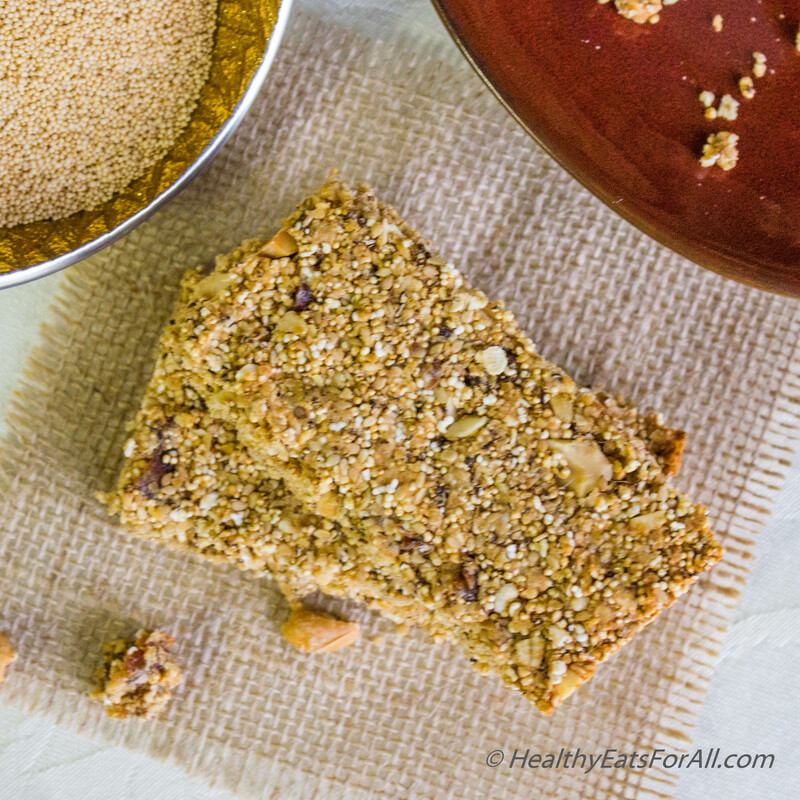 Do you have a no bake recipe for rajgira oat bars? Hello! Thanks so much for visiting my blog 🙂 I don’t have a no bake recipe for the rajgira bars unfortunately but then again I did not try it. Maybe you can try it by keeping in fridge for few hours and see how it goes and do let me know! But I am working on a new recipe which should not require baking! So keep checking and if you subscribe you will get the recipe automatically. Thanks!